Looking northwest across downtown Minneapolis from atop the Foshay Tower. 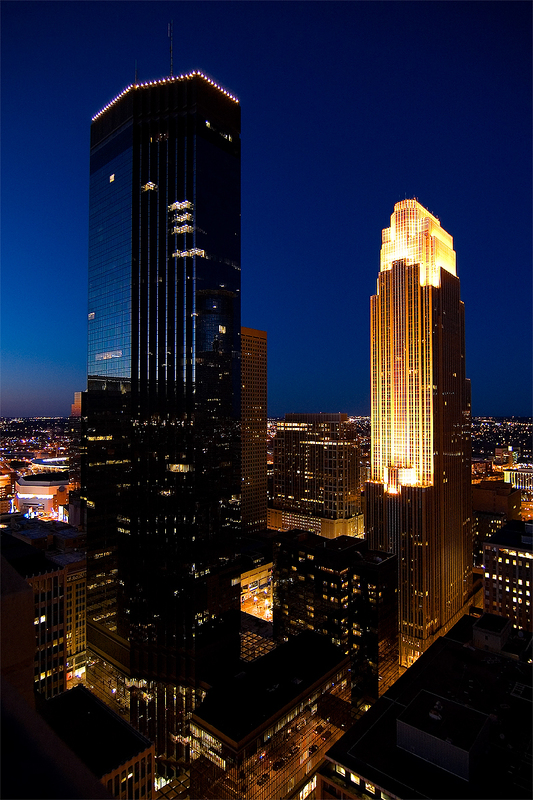 The IDS Tower, on the left, is the city's tallest building; the Wells Fargo Center on the right and faced in Kasota Stone is the third tallest. The new Minnesota Twins outdoor stadium is peeking from behind the IDS Tower.